Dunmore East International Bluegrass Festival takes place from August 23-26. Waterford's Peter Power (Power’s Bar), Niall Edmondson (Spinnaker Bar and Restaurant) and Mick Daly (festival chair) are all set for the the Dunmore East International Bluegrass Festival. Waterford's Dunmore East International Bluegrass Festival is still proving as alluring as ever for top music acts, as some of the industry’s greatest bluegrass and country music stars get ready for the free four-day festival from August 23-26. Fans of bluegrass, honky-tonk, blues, country, Americana and rhythm ‘n’ roots are in for a real musical treat as the picturesque village’s International Bluegrass Festival will feature 14 artists playing almost 40 free gigs. 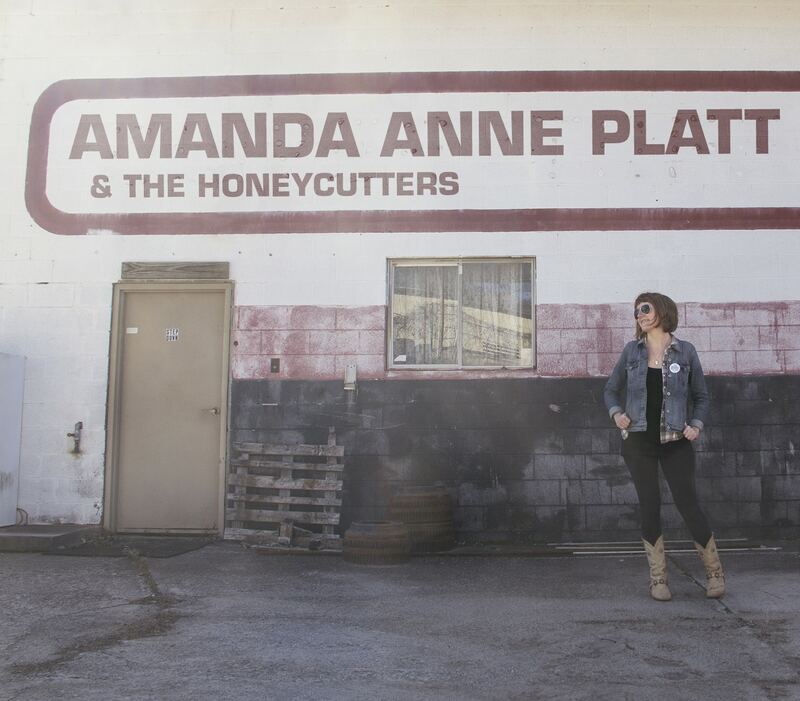 Headlining this year’s festival is Amanda Anne Platt and the Honeycutters, an old school country roots band that effortlessly blends rock, folk and country. Hailing from North Carolina, Amanda Anne Platt has earned a reputation as an assertive yet gentle and unassuming singer whose “voice and the interplay of the guitar and mandolin gives this band their unique complex sound, a clear-sounding mash-up of American, bluegrass, fold and honky-tonk”, according to Elmore Magazine. At 2015 MerleFest, considered one of the premier music festivals in the United States, the Honeycutters received fantastic reviews. Making a return to Dunmore East is California’s Whiskey Deaf. Fiddle player Annie Staninec was born and bred on bluegrass music, has toured the world and featured on countless albums with renowned country, Cajun and blues artists, while John Kael, an established songwriter, has been playing bluegrass guitar, mandolin, banjo and bass for over 20 years. Having taught in some of the most prestigious music camps in the country, John and Annie will give two traditional bluegrass guitar and fiddle workshops on Friday 24th August. Places are €10 and pre-booking is essential. Some perennial favourites returning to Dunmore East’s Bluegrass Festival include Demolition String Band, Woodbine, Mons Wheeler Band and the Backyard Band. New acts to line up in 2018 include Brother’s Parker, Pilgrim Street, Kiss My Grass, Bert and Henry, Charlie Reader, Vickers Vimy, and Whistle. Festival organiser Mick Daly is delighted with the calibre of both first-time and returning bands playing at the festival. “We have a great line-up of bluegrass, country, rockabilly, roots and Americana acts this year. We are excited about welcoming the Honeycutters to Dunmore for the first time, but also equally excited about the return of some of the big names that have appeared over the years. Many of the bands that play the Dunmore Bluegrass Festival feed off the fantastic energy of the crowd and the fact that it is set to a stunning coastal backdrop is a bonus. “Over the past decade or so the festival has evolved organically and while bluegrass is still at the very heart of the festival there is a more eclectic offering of music, such as rockabilly, country and Americana. A lot of the young, up-and-coming acts are making waves on the bluegrass scene and we’re thrilled to have an exciting line up bringing their energy and vibrancy to the festival. “The festival appeals to die-hard bluegrass fans who have been visiting Dunmore for decades, but it also has a broader appeal to those who simply like good toe-tappin’ music, in a beautiful seaside setting, under the sun!," he added. The 24th Dunmore East International Bluegrass Festival kicks off on Thursday 23rd August at the Spinnaker Bar and Restaurant. More information online and on the Discover Dunmore East Facebook page.